Caption: UC San Diego students wear orange buttons to show they are taking the #CalFreshChallenge. Can you live on a food budget of $4.18/day? More than 150 San Diegans did between May 8 and 12 to raise awareness and money to fight hunger in our community as part of the San Diego Hunger Coalition’s annual #CalFreshChallenge. This year’s Challenge took place in May to coincide with CalFresh Awareness month. Each year, the Hunger Coalition challenges people to live on the average CalFresh (also known as SNAP or food stamps) benefit per person which is now $4.18/day in San Diego County. Participants could take the Challenge for 1 day or a full 5 days. CalFresh provides temporary assistance in a person or family’s time of need. According to the County of San Diego Health and Human Services Agency, more than 285,000 people – nearly half of whom are children – are receiving CalFresh benefits. The average time households in San Diego County receive CalFresh is less than two years. 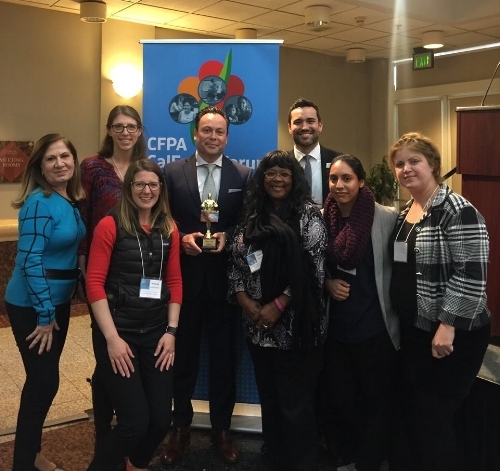 With federal support and funding for SNAP uncertain under the current administration, joining the fight against hunger in our region is more important than ever and doesn’t end with the #CalFreshChallenge. Sign-up to become a Hunger Free Activist and receive periodic opportunities for you to use your voice to advocate for state and federal anti-hunger policies. Learn more and sign up here. 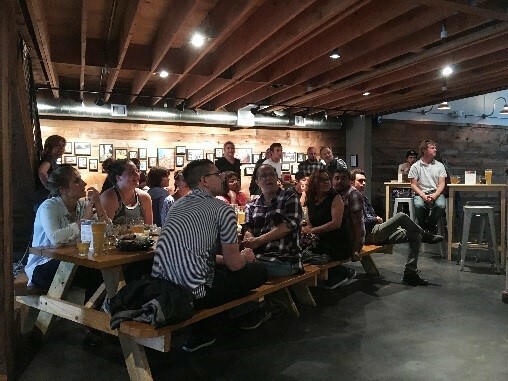 Thank you to everyone who took this year’s #CalFreshChallenge and came to our happy hour to our happy hour on May 25th!